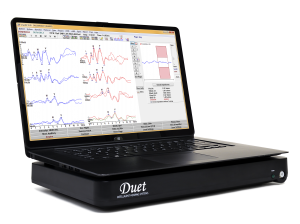 The Duet is available in two base packages: Duet 2 Channel AEP, or Duet 2 Channel AEP & OAE. Choose from a variety of add-on modules for the ultimate in flexibility and versatility. Upgrade anytime with minimal or no down time. SmartEP is a feature-rich evoked potentials system with the versatility to meet all your clinical and research needs. SmartEP is simple for beginners to easily operate, yet has powerful features for the most advanced users.